This past week has been a very exciting one for video game fans. Between events like EA Play and E3, there has been a plethra of video game announcements and trailers. 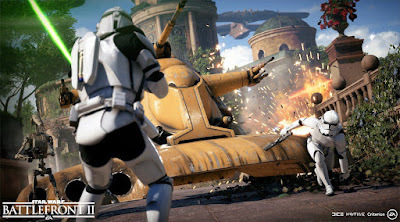 This includes the world debut of gameplay from Star Wars Battlefront II. The Battlefront II gameplay seems to have captured the world's attention as the trailer for the upcoming sequel was the most viewed trailer out E3 (even though it technically didn't debut at E3, but at EA Play a few days before). Polygon is reporting that the Battlefront II trailer topped the list of most viewed videos from E3, with 8.7 million views since its debut on Saturday. Star Wars Battlefront II will be released on November 17th.